The Prime Minister, Shri Narendra Modi, will be on a three-day visit to the States of Assam, Andhra Pradesh and Odisha from February 5th to 7th, 2016. The Prime Minister will arrive in Dibrugarh, Assam on February 5th. He will inaugurate Brahmaputra Cracker and Polymer Ltd at Lepetkata, which is the first ever petro-chemical project in the entire North-East. As part of the same event, the Prime Minister will also dedicate to the nation, India's highest wax producing unit using indigenous technology in Numaligarh Refinery Ltd. The Prime Minister will address tea workers at Moran, near Dibrugarh. He will deliver an address at the 85th Annual Conference of Srimanta Sankaradeva Sangha at Sibsagar. The Prime Minister will inaugurate the 12th South Asian Games in Guwahati. Eight countries: Afghanistan, Bangladesh, Bhutan, India, Maldives, Nepal, Pakistan and Sri Lanka are participating in the Games. 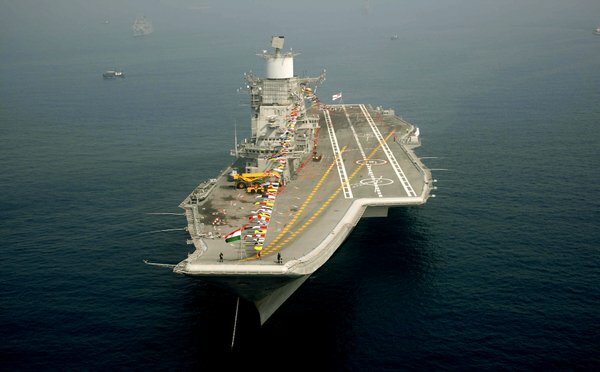 On February 6th, the Prime Minister will attend the International Fleet Review at Visakhapatnam. He will visit a maritime exhibition. The Prime Minister will arrive in Bhubaneswar on February 7th, and will dedicate to the nation the National Institute of Science Education and Research. Shri Narendra Modi will visit the Shri Jagannath Temple in Puri. The Prime Minister will dedicate to the nation, the state of the art Indian Oil Refinery at Paradip. The Paradip Refinery will have a total capacity of 15 MMTPA. The Indane Maximization, or INDMAX unit at the refinery has been set up using indigenous technology to produce a higher quantity of LPG. The Refinery is expected to unleash a new wave of industrialization in the hydrocarbon sector, and accelerate economic development in Eastern India. The Prime Minister will visit the Main Control Room, and the INDMAX unit at the refinery. The Prime Minister will arrive in Visakhapatnam on the afternoon of February 7th, where he will witness the operational demonstration and the International City Parade at the International Fleet Review. The Prime Minister will also deliver an address. Prime Minister Shri Narendra Modi received a delegation led by Ms Kathleen Wynne, Premier of Ontario and Mr H.Wade MacLauchlan, Premier of Prince Edward Island of Canada on February 3, 2016. The Premiers of Ontario and the Prince Edward Island expressed deep appreciation and support for the initiatives launched by the Government of India, including in the fields of manufacturing, skill, infrastructure development, renewable energy, urban renewal, waste management, education, agriculture. They conveyed that over the past year, the Canadian businesses and investors, including various Canadian Pension Funds, have shown enhanced interest and confidence in India. This was evident from a strong participation from Canada in the India investment Summit being held on 4-5 February 2016 in New Delhi. Prime Minister mentioned that India attached high priority to its relations with Canada. His own visit to Canada in April 2015, which was the first bilateral visit of the Prime Minister from India after a gap of nearly 42 years, and subsequent developments in bilateral relations have highlighted the synergy and complementarities between the two countries in various fields. Prime Minister conveyed his warm greetings to Prime Minister Justin Trudeau and expressed confidence that his visit to India later this year would provide an opportunity to further deepen the strategic partnership between the two countries. Mr. CY Leung, Chief Executive of Hong Kong SAR, called on Prime Minister Shri Narendra Modi today. The Prime Minister welcomed Mr. CY Leung on his first official visit to India and expressed hope that his visit will lead to increased trade, investment and tourism links between India and Hong Kong. Mr. CY Leung briefed the Prime Minister about the strong interest among Hong Kong-based companies in India. The Prime Minister and Mr. CY Leung agreed to strengthen bilateral economic cooperation, especially in the financial services sector, as well as cooperation in the field of education.